love naming a star after a friend or loved one. Top 50 Reasons People Love the Idea of Naming a Celestial Star. Amy: Because my girlfriend loves to look at the dates, and I want her to know there is one up there, just for her. David: I love naming a star because no matter where you are or what time it is, it will always be there for you. Christina WIlson: My 7 year-old daughter has big dreams of becoming a Planetary Geologist someday and the idea of having a star named after her makes her feel like she is one step closer to her dream. We love that she always "REACHES FOR THE STARS" and will do anything to encourage her! Jason: The ability to name a small speck of a grand Universe after a loved one is just in itself and awesome thought. Bobbie: I received a star back in 1986. It was such a special, unique gift. I'd like to make sure my step daughter feels special, too. Ken: I just married a Princess from all the way around the otherside of the World where the stars are really bright. This Valentine's Day she will finally be with me here in America. When I was In South Africa with her she asked me if the stars in America are as bright as the ones where she is from. I thought this was brighten up her First Valentine's Day in America. Misti: I love the idea of naming a star because my husband is a star and I think this is the best way to show him. Nicole Alessie : I am naming a star for my cousin, who is really more of a sister to me, because she is publishing her first book (On Luna Time)! I had the idea of naming a star after her book because the story revolves around astronomy, star alignment and the moon. It will be the perfect gift for her. Bruce Jackson: this is for the woman that I met and fell in love with as she fell in love with me. As It Should Be. Kevin: Me and my Fiance have always loved looking up at the stars and choosing random names for the brightest star we saw and now I will be naming one after our Future daughter so she will be able to look up and maybe see it. Emily: I think this is an extremely thoughtful way to remember a loved one who has passed. It's really sweet to be able to think of someone every time you look into the sky and feel like they are there with you. Pamela: An excellent representation of eternity and being one with the universe.. it's a thoughtful way to remind the ones you love how much they mean to you as well. Jennifer: A very good friend of mine from grade school passed away on December 23rd, leaving behind his wife and two young children. I am also a widow and had very young children when my husband passed away and my sister had a star named after my husband. I've always told my children that Daddy is the brightest star in the sky and I would like for my friend's children and wife to have something special to honor their father/husband. Pooka: It's the perfect gift! It's thoughtful, romantic and unique. A wonderful surprise for someone who loves space and stars. Jonathan: My passion as a child was to become an astronomer. Naming a star for my new granddaughter would bring me back to that passion. Cody: I love the ability to forever memorialize loved ones in the naming of a star. Such a heart warming gift during a difficult time. Carol: I love naming a star because it eludes to letting everyone know that a beloved pet, or family member lives on throughout vast eternity, which leaves one with a sense that a loved one lives on forever by just looking at the heavens. Bettye: Naming a star for a loved one, especially at Christmas, is an eternal gift which can last for decades to come. No better gift could be chosen for my grandson. Jodie Malkin: With my son gone and we always look up at the stars and say hes looking over us..He will now be the brightest one. Hpyhiker: My husband of 30 years loves to look at the stars at night while we are in the hot tub or camping. After 30 years, our love only gets deeper and richer. The word Midushi means sweet heart - so what better gift for the love of my life other than a star named "sweet heart." Jessi : I think it is such a beautiful and personal way to show someone that you care about them and appreciate them. Deidre: Its one of lifes simple treasures that people forget to appreciate. 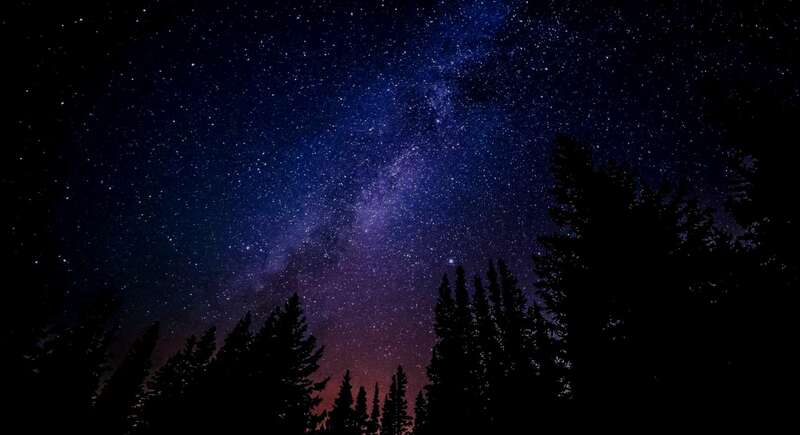 To be able to look up at the night sky and see millions of stars. And knowing that a single star dedicated to a loved one is smiling down on you. Love and cherish everyday. Because tomorrow is not promised. Amy Higgins: This year my cousin Eilise passed away and i thought naming a star after her would be a wonderful gift to her parents. Trish: I live the idea of naming a star because this will help bring joy to my family after the loss of a loved one. Miguel: I love naming a star because it is a universal gift that everyone will love and can mean so much to people. Maven: My friend Astrid she really loves stars- it's one of her most favorite things. The fact that I can give her a star- and for her to be able to say that that specific star is personal for her and only her- that's amazing! And I know she will love it. Joy: This is a really unique idea for that hard to buy for person who already has everything...especially a boss or manager. Lindsey: I am gifting this star to my mom for Christmas. My dad passed away 1.5 years ago, so this is in memory of him. Precious: For me naming a star will allow me to memorialize a loved one for someone else. It gives people something they can hold on to and see for a lifetime. Jacky: I would love to name a star in commerce of my boyfriend and I's first date. We star gazed and he told me of his love for space, the galaxy, and the overall night sky. Katy: It allows me to give my loved one a way to look up and connect with me no matter where we are in the world. Wendy: My nephew died in a tragic accident November 8,2017 and he was 11 .. On December 15,2018 he would have turned 13.. Now when my sister looks at the stars and knows one of them is named after her son.. She will always know he is with her..
Jamey Perry: Because a star is beautiful and s a symbol of wonder and it's something you can always find in a world of constant change to wish upon and have hope for the future. Bobby: Me and the love of my life can not have kids. And a star is a perfect thing for us to have and enjoy no matter where we are. Shelby: I love naming a star because its an easy way to give a really personal, meaningful gift without spending a fortune. Sarah: My boyfriend and I love looking at stars. I combined our names together to name the star. The date is our anniversary.